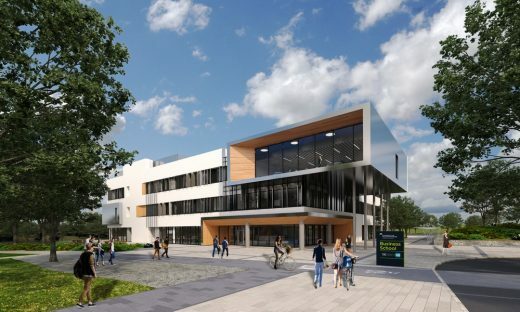 Planning permission has been granted for a landmark new Business School and Growth Hub building at the University of Gloucestershire’s Oxstalls campus. Designed by the Austin-Smith:Lord, the building reflects the success of the existing Business School and the projected expansion of students enrolling in forthcoming years. 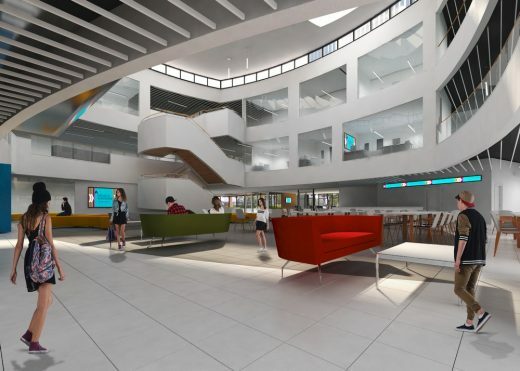 In addition to being the new home for the University’s Business School, which is currently located in Cheltenham, the flagship building will provide expanded space and facilities for the Growth Hub which is already based at Oxstalls. 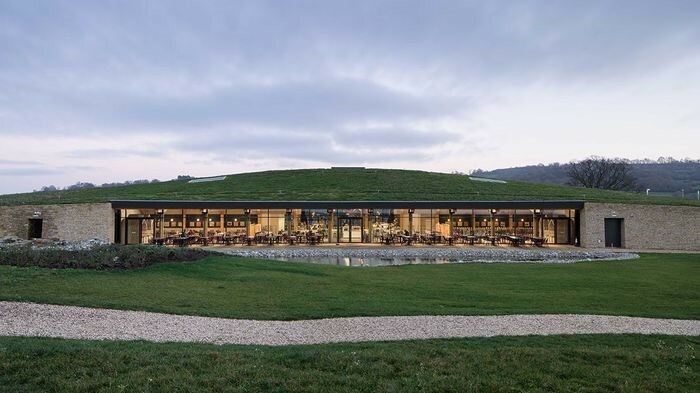 Growth Hub is a partnership between the University of Gloucestershire and GFirst LEP to provide start-up businesses support and expertise to help businesses to grow. Since its opening in October 2014, the Growth Hub has welcomed 7,000 visitors, and is working with over 500 high growth/high value businesses. The new 5500m2 building will incorporate a trading room (to simulate a trading floor); moot court; innovative collaborative lecture theatre and a social learning space. Neil Farquhar of architects, Austin-Smith:Lord said: “As a flagship building for the University, the design of the exterior seeks to be bold and dynamic in appearance, with sharp, clean lines to give prominence and presence in a location that is relatively discreet. Externally, the building will feature metal cladding; insulated render; aluminium framed curtain walling and European oak timber cladding. 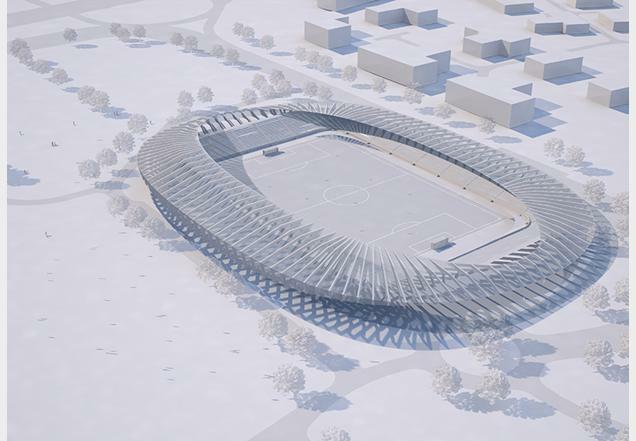 The key focal point of the scheme is a triple height atrium space, with generous rooflights and clerestorey lighting; distinctive curved balcony fronts; extensive glazed screens providing a high degree of transparency and interconnectivity and a feature stair wrapping between levels. 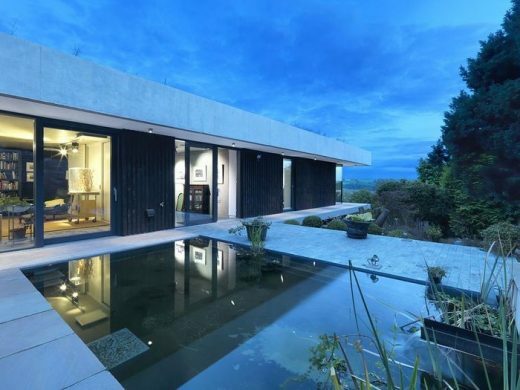 The design has been developed to achieve a BREEAM excellent rating. 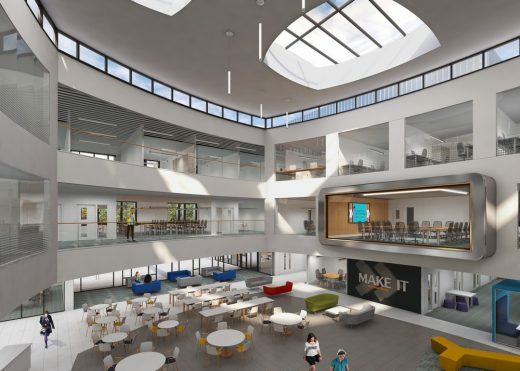 The goal of the new building is to bring business education, applied research, economic development, and business support services all together under one roof, with benefits for students, businesses and the wider community in Gloucestershire and beyond. The planning permission includes additional car parking, landscaping and a redesign of the Cheltenham Road/Oxstalls Lane junction. The Business School and Growth Hub will be one of a series of developments taking place at the Oxstalls Campus, which include new student residences and a sports complex, all planned for completion during 2018.